The Naples, Florida-based ‘International Foundation for Protection Officers’ (IFPO) has recently taken steps to promote their certifications such as the IFPO CPO (Certified Protection Officer) in the UK. Established in 1988 as a non-profit, the IFPO aims to address the training and certification needs of security and protection officers with over 80,000 certifications having already been achieved. The IFPO CPO course covers a range of competencies including Crisis intervention, career planning, security risk management, effective communications as well as numerous other topics. In order to achieve this goal, the IFPO has appointed Mike Hurst, CPP as their representative in the UK. 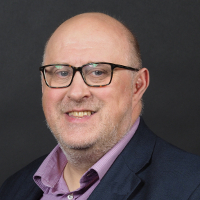 Mr. Hurst is well known in the UK Security Industry, possessing over 30 years of experience and holding a number of high profile positions including the Vice-Chairmanship of ASIS UK, a directorship at the Security Institute as well as being a co-founder of Allsecurityevents.com.